1657 May 17. Jean Francois Gignilliat was born in Vevey, Switzerland, to Abraham Gignilliat and Marie deVille. In Switzerland he married his first wife, Louisa Pineau. There were nine other grants totaling 4500 acres which J. Colleton ordered Stephen Bull, Deputy to the Surveyor General, to issue Jean Francois deGignilliat, for which presumably he paid. 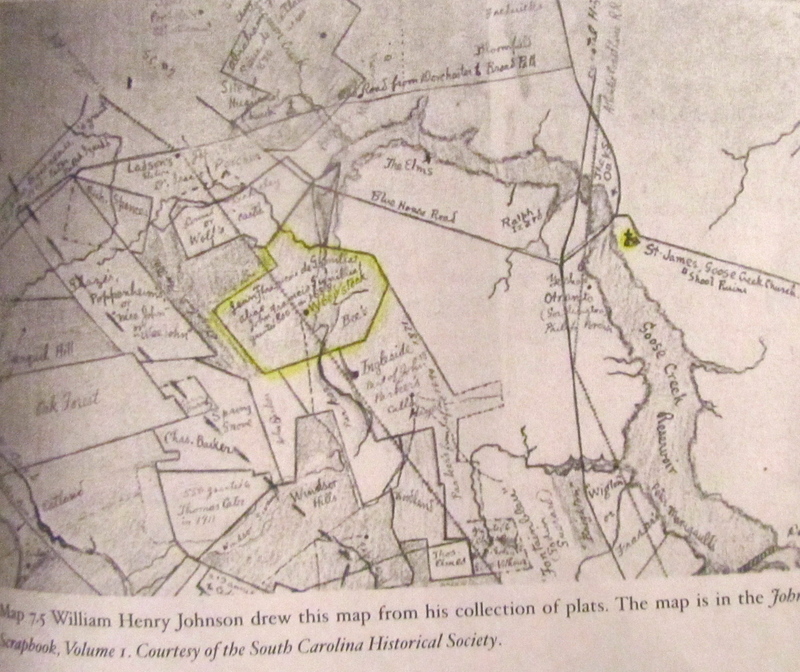 The additional land he purchased after arriving in Carolina and Dawshee Plantation, said to have been a Gignilliat homestead, is further evidence that Jean Francois Gignilliat was a man of wealth. Dawshee was one of the more beautiful and elaborate plantation homes of the St. John’s district. Walnut Grove Plantation may also have once been owned by Jean Francois Gignilliat as it was the property of Gabriel Gignilliat, a grandson, at the time of Gabriel’s death in 1803. 1686-1687 Louis Pineau Gignilliat died. Gignilliat then married his second wife, Susanne LeSerrurier, daughter of Count Jacques LeSerrurier, a wealthy merchant of London and Carolina, and his wife Elizabeth Leger of Picardy, France. 1688 January 20. Gignilliat took the Oath of Allegiance. 1688 June 13. 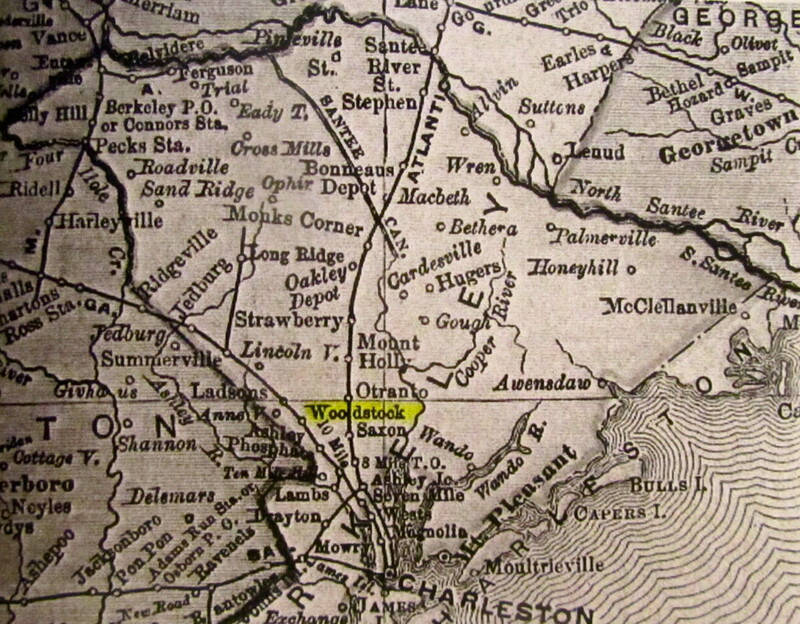 Woodstock plantation was granted to Gignilliat for 800 acres at the head of Yeamans Creek, near Dorchester. 1690 August 4. He deeded the 800 acres of Woodstock to John Moore. 1690-1700 All of the couple’s eight children were born in South Carolina: Mary Elizabeth (1690- ), Henry (1692- ), Pierre (1694- ), Abraham (1696- ), Susanne (1697- ), Francois (1698- ), plus twins born posthumously, James (1700- ) and John (1700-1750). 1699 September 3. Jean Francois Gignilliat died in Charleston at age 42. Bates, Susan Baldwin and Harriott Cheves Leland. French Santee: A Huguenot Settlement in Colonial South Carolina. Baltimore, MD: Otter Bay Books, 2015. (background) [This new book has a chapter on Jean Francois Gignilliat, pp. 143-150, plus numerous references in the Index. I have not integrated the information into this biographical sketch.]. Butler, Jon. The Huguenots in America: A Refugee People in New World Society. Cambridge, MA: Harvard University Press, 1983. (background) [see index for multiple references]. Kenan, Robert Gignilliat. History of the Gignilliat Family of Switzerland and South Carolina. Easley, SC: Southern Historical Press, 1977: pp. 3-8. Van Ruymbeke, Bertrand. From New Babylon to Eden: The Huguenots and Their Migration to Colonial South Carolina. Columbia, SC: University of South Carolina Press, 2006. [see index for multiple references]. I want to express how appreciative I am for you putting the time and effort into collecting and compiling this data. I’ve been putting together my family history and have determined that Jean Francois Gignilliat is my 9th great-grandfather. His son, Henry, married Esther Marion who had Mary Ann. Mary Ann then married Col. William S. Cray Sr. Mary and William’s daughter Mary then married Capt. Joseph French Jr. and the French name then carried all the way to my mother.